Have you ever had one of those days when you already knew everything was going to be epic, and then the day turns out to be even better for reasons you didn’t see coming your way? This was one of them. 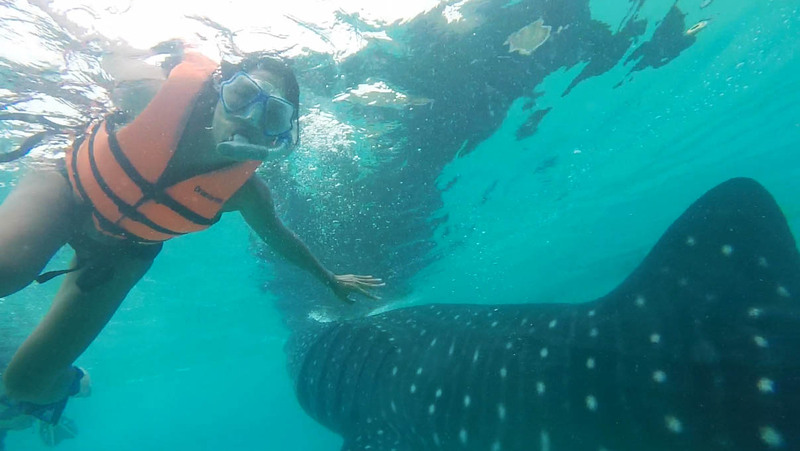 The main draw of going to Oslob, of course, is the close encounter with whale sharks — the curious, gentle titans of the deep. 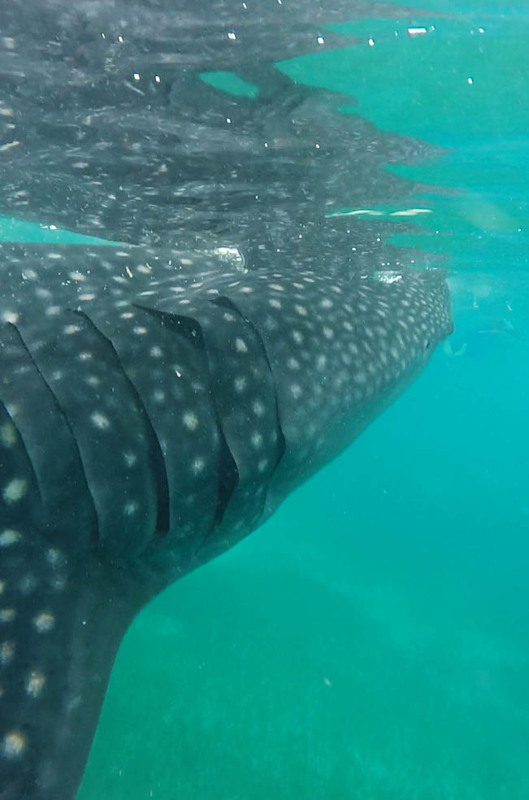 My close friend missed out when we first got to swim with these graceful heavyweights in Donsol a few years back. 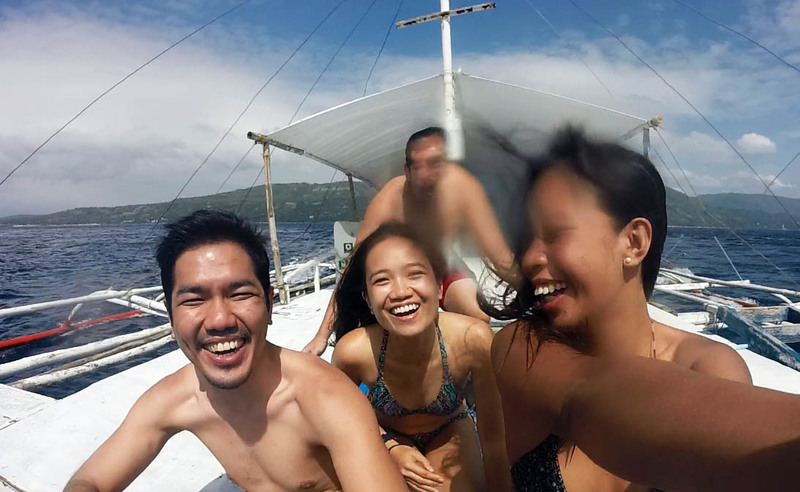 Tired of all the declarations of ‘You-missed-half-your-life!’, we chartered a day to cross from Dumaguete onto Oslob via ferry. “Nowadays, everyone can afford a smartphone here,” our tour guide pointed out. It’s not hard to imagine how a chance passing has changed the fate of this once-obscure fishing town. At early morn, the orientation center was packed with tourist vans. The locals maneuver the herd of visitors from registration, to the mandatory orientation of do’s and dont’s, all up to the beachfront, where they are finally sorted out into small groups, as they wait for their turn to be paddled out to sea in a tiny white boat. While queueing, I couldn’t help but admire the shimmery blue-green waves as they crash against the light, tawny sand. I would go here even just for the beach! They weren’t kidding about the close encounter. It was every bit as exhilarating as the first time. That fright of coming in too close, yet that wish to get a once-in-a-blue-moon proximity to make for an encounter almost too surreal. After a good 30 minutes of sloshing around the waves, getting baffled at how such a massive creature can suddenly sneak up from behind you, we bid the whale-watching shore goodbye. 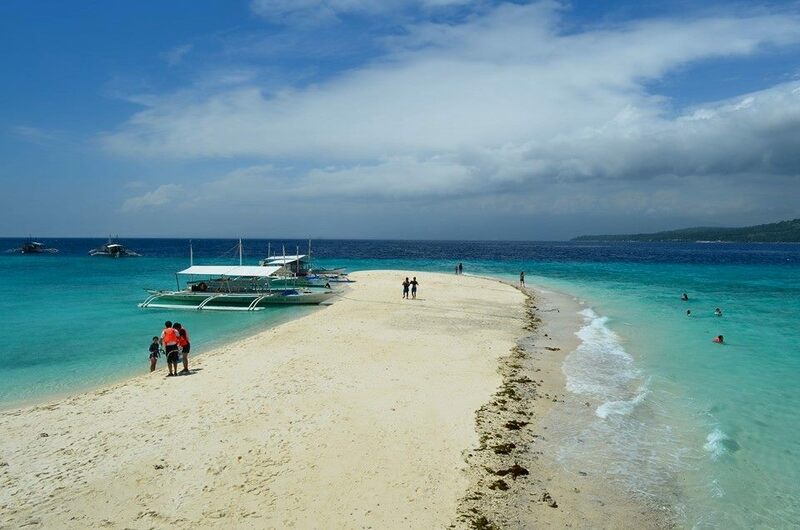 We move on to board a bigger boat that whisks us away to the sandbar of Sumilon Island. 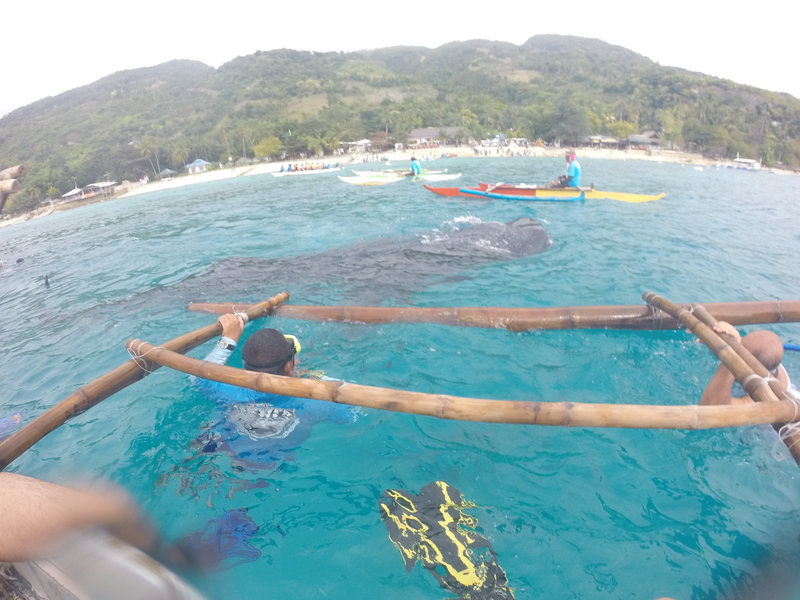 Now, it’s hard to get excited about snorkeling when you’ve just swam with literally the biggest fish on earth, but Sumilon Island held its own. Not even droplets trickling down my camera could ever ruin these giant smiles. Our boat dropped us off in the middle of the sea, where the coral reefs were vast and lively, brimming with fish of all colors and sizes. The clownfish, as usual, adorably try to look menacing as they guard their anemone. The triggerfish, though pretty, still make me wary. I make a beeline for the lionfish which, on the other hand, are simply hard to resist. A giant infinity pool, complete with shimmering waves in the sunshine? Yes, please! And… that wasn’t even the best part yet. 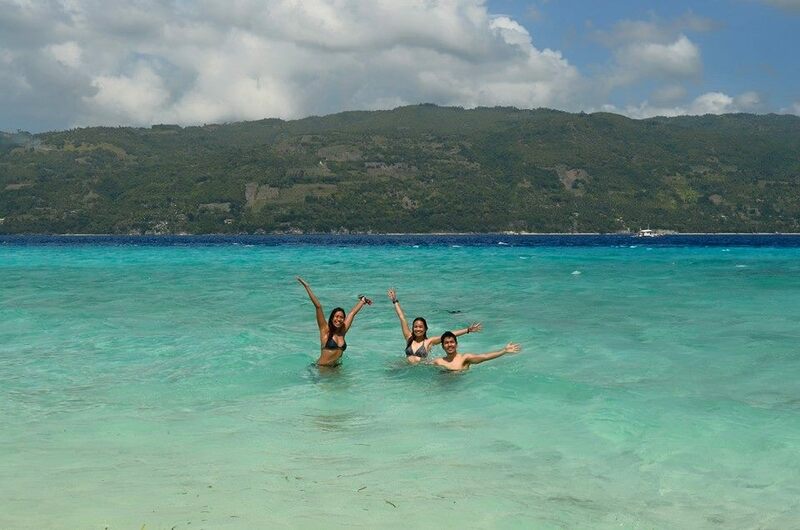 After indulging in the mid-day sun at this paradise of a sandbar, we went back to the mainland for a seaside lunch, to fill our tummies before we zip off again to our last stop of the day. 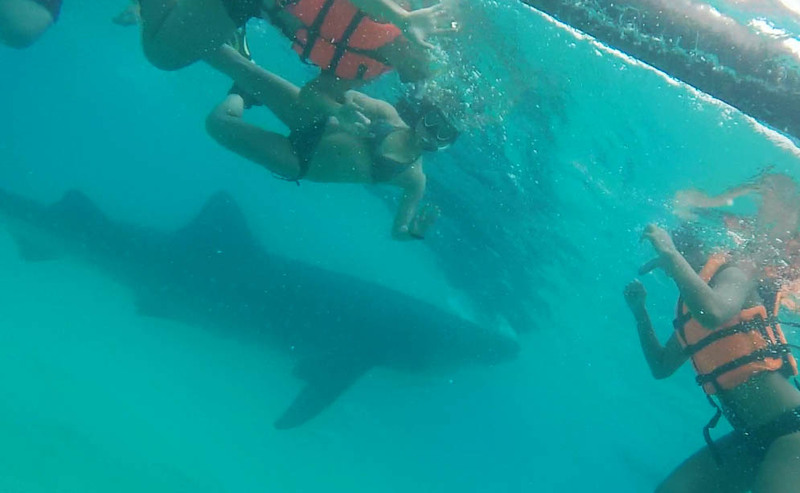 Now, the tour write-up did mention a side-trip to a waterfall nearby, where we could unwind after all the hullabaloo of chasing after whale sharks. We scoot off to a side road and drove up a hill, until the point where cars are no longer allowed to enter. We traipse forward on foot. The road to Tumalog Falls. 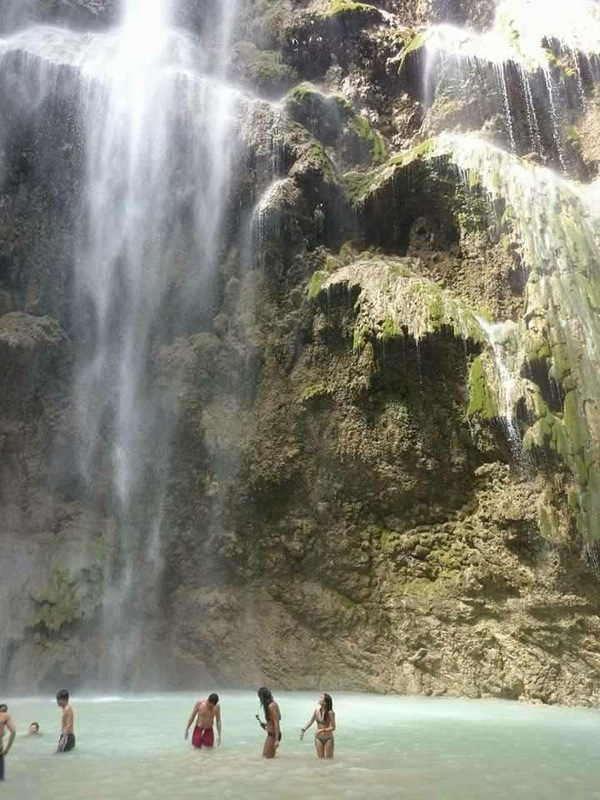 Ladies and gentlemen — Tumalog Falls. This tucked-away waterfall was a giant playground for water babies. We spent all our time splashing around, climbing the rocks to go deeper behind the waterfall. The world is glorious. Thank you for all the inspiration, Oslob.